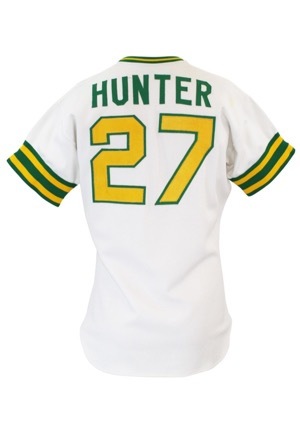 In 1974, Jim “Catfish” Hunter received both The Sporting News "Pitcher of the Year" award and the American League Cy Young Award after going 25–12 with a league leading 2.49 earned run average. 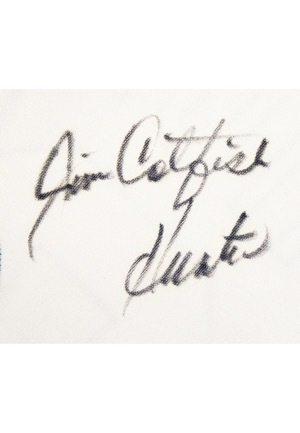 Catfish won five World Series Championships including three in a row with the Athletics, was an eight time All-Star and was elected to the Hall of Fame in 1987. On the front middle tail is the McAuliffe manufacturer’s tag. 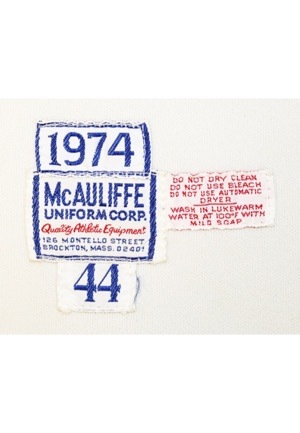 Adjacent are three additional labels reading “1974”, “44” and one with washing instructions. 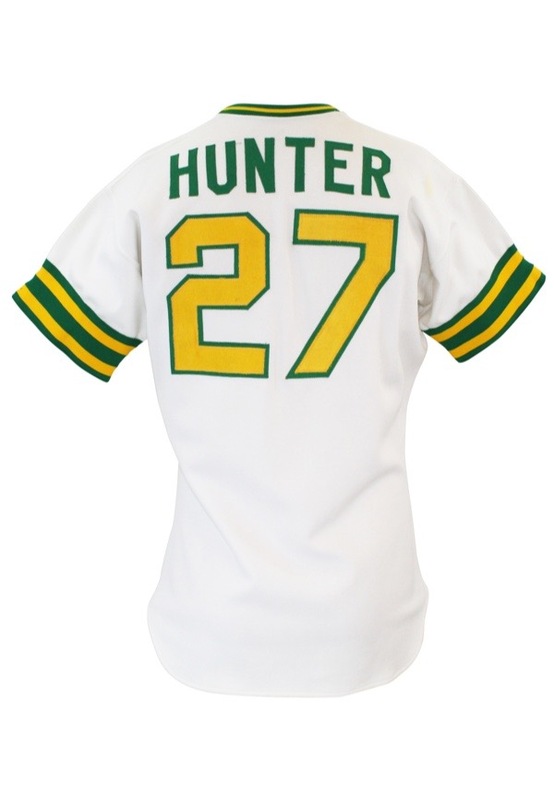 On the left chest is the team “A’s” logo and on the back is the player number “27”. These are done in yellow on green tackle twill. Across the back is the player name “HUNTER” in green tackle twill. 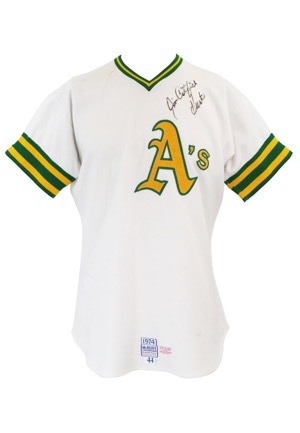 Hunter signed on the front of the jersey in black marker and in our opinion the signature rates an 8 This jersey is properly tagged, was presented to us as game-used and in our opinion shows excellent use with scraping to the numbers. Accompanied by a LOA from JSA and a PSA/DNA LOA.